A pretty close replication of the famous Eastern Bloc AK-47 ammunition that was so readily available in the 1970’s, 1980’s and 1990’s in America as ultra-cheap plinking ammunition for pennies on the dollar. 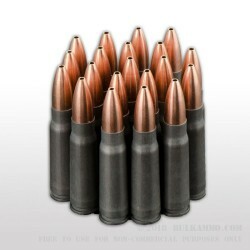 This 7.62x39 ammo, believe it or not, is actually better. It doesn’t have the corrosive qualities and it is more accurate ammunition. 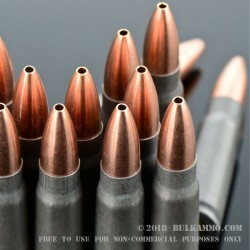 The only real caveat is that it’s a bit more finicky than brass ammunition out of AR platform 7.62x39’s which are relatively rare compared to the AK clones that this round was made to be used in. This is also quite good for the bolt actions and the SKS’s that want to go to the range too. 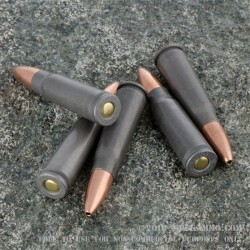 This is the 124 grain TULA manufactured hollow point. There are about 6 basic variations of this round. 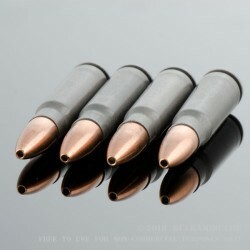 With a 122, 123 and 124 grain with a full metal jacket projectile variant and a hollow point variant each being offered for each grain weight. 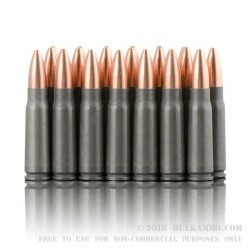 For general use these rounds will shoot about 2-3 MOA on average with better accuracy being possible, but usually it functions within that accuracy range. The hollow point is generally accepted for use on big game in most jurisdictions, though you will need to verify that for your specific location.